Every life-stage has its share of novelty—first kiss, first tax return, first twinge of certain death—but when it comes to new experiences most of us peak in infancy. Just laying there, gargling and soiling our diapers, we as infants cycle through thousands of firsts. It would be nice to remember some of them, as our lives slow down—as we settle into the same office chair for the 200th time, and sip from the same novelty coffee mug. But infancy scans as a blank for most of us. Still: plenty of people claim to remember being born, and not all of them have done ayahuasca. Are these people all misguided, and/or liars? Is it possible to remember what life was like at, say, six months old? 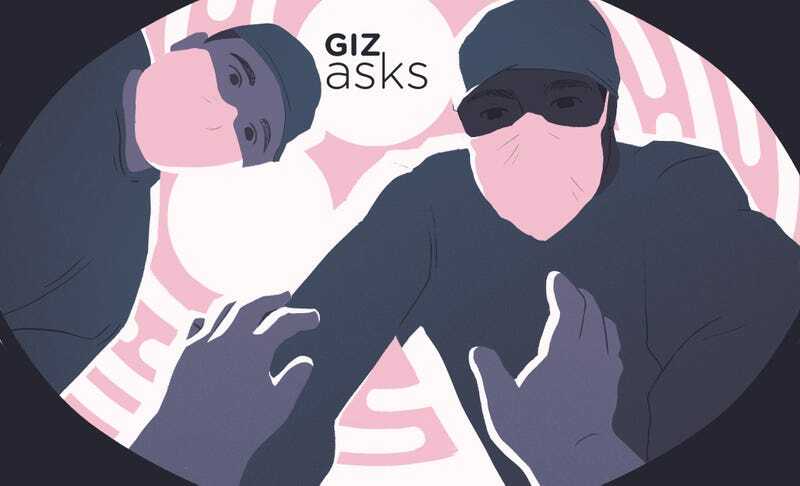 For this week’s Giz Asks, we reached out to a number of experts—in pediatrics, psychology, neuroscience, etc.—to find out. As it turns out, science still hasn’t landed on why, exactly, we forget virtually all of our first few years alive—but there are plenty of compelling theories out there. You probably remember the name of the grade school teacher who made learning come alive, but when it comes to remembering our lives in infancy, you draw a blank. When it comes to declarative memories—the kind of memory that lets you remember specific experiences—we eventually experience what the field calls infantile amnesia: the inability to remember specific experiences before the age of 2-3 years. This doesn’t mean that our brains become mush around 2-3 years. As anyone who has ever been around a baby can attest, the amount of learning that happens in the first few years is astounding. We are able to remember information we learned (we don’t have to re-learn the language we learned as infants), we learn how to walk, and we also learn important information about the world that sticks with us for a lifetime (for instance, we learn whether our needs will be met or if those around us will abuse us). From learning a language, to learning to how to count, to learning who you can trust in the world, a big part of the work of the early years is learning (and remembering) new information, even if we can’t remember specific experiences. But there are other kinds of memories that are more similar from infancy to adulthood. A few years ago, I worked with Lisa Feigenson at The Johns Hopkins University, and we explored infants’ working memory, or their ability to remember information in the short-term. We used a paradigm to explore if infants were able to remember the identities of objects that we hid in a box. When we made the task too hard for things like counting or memory tricks, infants could, like adults, remember up to 3 objects, but, if asked to remember more, they experienced catastrophic forgetting. We also found that as the number of items increased from 1 to 3, what infants could remember about the hidden objects decreased. For instance, if we asked infants to remember that a little toy dog was in a box and then they pulled out a little truck, they would keep searching for that little toy dog. But, as we increased the items in the box, infants knew that they were searching for a certain number of items, but they didn’t seem to remember what those items were. In this way, infant memory architecture is much like adult memory architecture—we just get better at using it. Few adults actually remember being a baby. Scientists call this “infantile amnesia.” This refers to the fact that adults report very few memories from earlier than age 3 or 4 years. But research shows that infants themselves have excellent memories—they can recognize the faces, voices, and actions of people around them, learn names for things, and delight in special objects, familiar routines, and places. A study we conducted in my lab found that 3-month-old infants could recognize the movement (swinging versus circling) of an object they had seen for just 2 minutes, 3 months later—at the age of 6 months! Another reason one might expect to remember infancy is that the first years of our lives are known to have lasting effects across the lifespan. They lay the foundation for our social emotional, perceptual, and cognitive development. For example, the words we learn in infancy are retained through practice across the lifespan, as are common routines such as holding a fork, drinking from a cup, and putting on a shoe. According to some experts the first years mold our personality and determine the nature of our attachments to others—shaped by how securely attached we are to our primary caretakers as infants. So, although we may not explicitly remember being an infant, the experiences of infancy are not lost—they are systematically built upon across time. Scientists have proposed a number of reasons for infantile amnesia (e.g., a shift from visual to verbal encoding of memories, or organizing memories around the developing sense of self) but there is no agreed upon explanation. This being said, there are large individual differences in how much we remember from infancy and early childhood. Some of us, including myself, report having clear memories from age two and earlier, while others report having virtually no memories until ages 7, 8 or 9. For those who wish to enhance their memory of being an infant, there are techniques that can be used. Imagine yourself in the context of the home you lived in as an infant. Reconstruct the space: Imagine the colors, smells, and tastes. Imagine the sounds and sights of familiar people and their voices. Try to invoke all the senses. Imagine experiencing life from the perspective of a small child, crawling or being carried or held. Focus on whatever feels familiar and go deeper (the smell of baby powder, taste of milk, the feel of being strolled, the sound of the lullaby). Most people can recover some specific memories in this way. Babies don’t have language, or conscious thought, so memories of their experiences are different from what we conventionally think of as “memories.” Whatever they “remember” is in their body, not encoded in language. From the moment you’re born you begin to make sense of what’s going in the world, through interacting with the people who take care of you: the way you’re held, the way you’re changed, the way people speak to you. That experience informs the way you are in the world, in your body. It informs the development of your brain and your gut and your whole autonomic nervous system—all those things develop through interactions with the people who care for you when you’re a baby, and all of that becomes literally part of your body, not just your brain. For example, if you have a very nurturing relationship, it signals your genes to make a certain amount of protein that determines your stress response. It also determines how different parts of your brain grow, through a process called epigenetics. The way your genes are turned on is influenced by the way you’re cared for in the earliest weeks and months of life. Let’s say you go someplace you have no conscious memory of going to before, but you have a physical reaction to it. It reminds you of something that’s not in your conscious memory—it’s in your bodily memory. You have this sort of physical reaction to it even tho your conscious memory tells you “oh, this place is fine, there’s nothing dangerous about this.” Your body can have a different reaction based on earlier experiences. This is an age-old debate, typically conceptualized as “infantile amnesia.” The big question has been the paradox that 40+ years of research has demonstrated some remarkable feats of memory that are possible in the first months and years of life, and yet generally, we remember nothing of our lives before the age of 2 (the average is actually 4 years). Why is this? A related theme is that the actual systems of the brain that are involved in retrieval—most of which are in the prefrontal cortex—are immature in those early years. Overall, studies asking people to recall their earliest memories conclude that people cannot remember events from before their third or fourth birthday. This is an average figure, so naturally there’s some variation. A few people remember events from even earlier than that, while many others can’t remember anything from before age 6 or 7 or 8. It’s worth noting that this line of research relies on the assumption that people can really know that they remember something, which is not always easy today, with so many photos and videos of our first years. Do I really remember, or have I created a memory based on stories I’ve been told, or videos I’ve seen? It’s not always easy to tell—we are very susceptible creatures, and easily construct memories we later believe to have experienced firsthand. That said, exceptions to infantile amnesia can occur if or when we experience something unique—something charged with strong emotion. Even if you don’t remember your second birthday, you can still have a strong visual memory of the new red shoes you got even before you turned two. Even if we as adults cannot remember events early on, a baby or an infant can. A very large body of research has shown that infants as young as 6 months old remember an event they experienced very briefly for a couple of days (and, with a reminder, much longer). So why is it that we cannot remember events from our early years but infants can? We really do not know for certain, but it is suspected that brain, language, and psychological development in combination are the key factors. The brain undergoes massive development during our first years of life, changes that most probably affect how memories are stored and retrieved. As for language, it is suspected that when the child enters the world of spoken language (the language explosion usually starts by the end of the second year) it will also affect how our memories are organized. Finally, from a psychological point of view, the self or the self-awareness that starts to form as you get older might be key factors. When you start to have a core feeling of being someone, of being you, it influences how and what you remember. We should also remember that forgetting might be a good thing. We’re not helped by remembering every detail in our life. Instead we are often better off letting generalized memories and experiences guide us in our daily life. 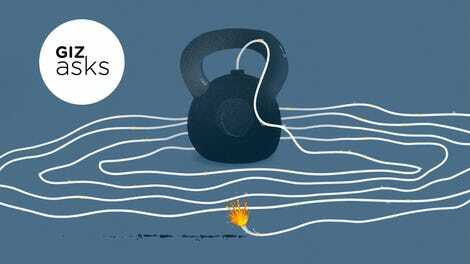 How Do You Hear Without &apos;Ears&apos;?